EXAIR Cabinet Cooler Systems are able to cool your electrical panels using only clean, dry compressed air. Other systems such as cooling fans or heat exchangers use ambient air full of dust and humidity. The temperature of ambient air also fluctuates with the seasons and will be very warm in the summer months, which degrades their ability to cool as the temperature rises. One of the myths about compressed air cooling is that humidity from the compressed air source will enter the cabinet. A water/dirt filter separator will prevent condensate from entering the cabinet and since relative humidity is carried away with the hot air exhaust, relative humidity will stabilize to 45%. This video shows how quickly EXAIR’s Cabinet Cooler Systems will have an effect on relative humidity. Today, I’m working on a informal video for you our lovely readers, and the video editing software can be quite cumbersome on the old CPU. I’m reminded of the old joke about Bill Gates and GM. Bill Gates says, “If Microsoft built a car it would cost $25 and get 1,000 miles to a gallon.” The executive of GM reads this in the paper and issues the following Press statement. “If GM developed technology like Microsoft, the car would crash twice a day.” All I have to say to either company is now I drive to work with a bad tire sensor in my car and every time I try and edit a video, I see a blue screen and need to reboot. *Fine Print: I drive a car made in Korea and edit video with a software company other than Microsoft. The joke is just a joke not a reflection on either Microsoft or GM. Today I wish I had a product that worked great everyday that I needed it. A product that require very little maintenance and I could count on to work right the first time every time. Something time tested, easy to install and innovative. I know of a product with these criteria – A Cabinet Cooler System – which is used to keep the internal temperature of your electrical cabinets at an optimal working temperature when dealing with components which heat the inside or when seasonal temperature increases cause additional internal heat buildup. A Cabinet Cooler is Vortex Tube based cooling product that runs on compressed air. The Cabinet Cooler Systems can cool up to 5,600 BTU/Hr. It has no moving parts to wear out. It will lower your compressed air temperature by 50 degrees F. The cabinet cooler also creates a positive pressure on the cabinet to prevent dust from entering the cabinet. We have varieties of NEMA 12 units to resist dust and oil intrusion and NEMA 4 units that resist, water, dust and oil intrusion. 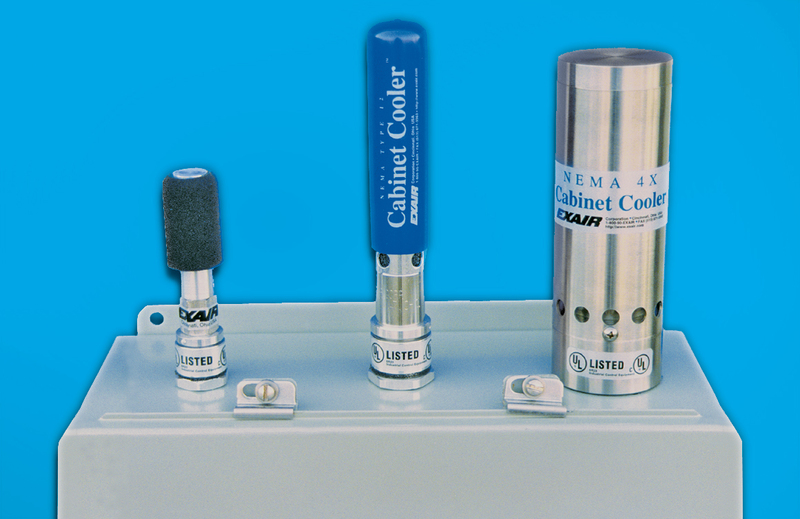 NEMA 4X units combat corrosion, water, dust and oil. The Cabinet Cooler Systems are versatile compressed air coolers that will work in harsh conditions. The alternative to cabinet coolers have a variety of problems. During the heat of the summer fans are only able to pull in hot, humid, and dirty air. The hot plant air does not have the same cooling ability as cool winter air. In a dirty environment the fans must be filtered to prevent dust and dirt building up inside the cabinet preventing heat transfer. The motors on fans will need to be replaced. Air Conditioners have don’t rely on the ambient air temperature, but dust and dirt are pulled into their filters which can clog and lead to costly maintenance or replacement. Cabinet Coolers have no moving parts and don’t really on ambient temperature, so they are a much better system for hot, industrial environments. EXAIR offers an online sizing guide for your convenience. Fill one out today, so you can avoid costly repairs on your electronic equipment. In most drilling, machining, and cutting operations a flood of coolant is used to remove heat from the work piece and the tool. This coolant is sprayed, and after it impacts the tool or part it sprays everywhere. In some case there is no way around using coolant due to required cutting speed, specific heat of the part, or the need for lubrication. 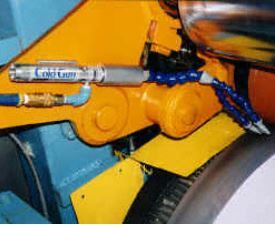 In other applications coolant is prohibited from touching the work piece due to application requirement. This means that the tool and the work piece operate at a higher temperature and could damage the tool or work piece. EXAIR Cold Gun Air Coolant System drop the temperature of compressed air by 50 degrees Fahrenheit. This air is then blown on a tool and work piece to take way most of the heat generated during machining. Used in combination with a tool that can handle a higher temperature like a high performance carbide the Cold Gun can deliver reliable machining without the mess of coolant. Normally in dry machining you also loss coolant’s ability to clear chips from the work area. These chips can trap heat and further increase the temperature of the work area. The chips will also work harden with repeated cutting causing more wear on the tool and a bad surface finish on the part. With a flood of coolant the chips are washed away, but with dry machining air must be used to clear the work area. EXAIR 5315 Standard Cold Gun features (2) 1″ wide nozzle that can be used to cool and the produce enough air flow to prevent chip build up. If you are looking for more information on dry machining, Brian Boswell wrote a thesis on the topic. Dry machining doesn’t just replicate the machining with a flood coolant it can improve the process. Extended exposure to airborne lubrication mists present potential health risks to machinists. Coolant is becoming more expensive to dispose of after it has been used this is only going to increase over time as environmental regulation become greater. Removing the coolant from your process can ease your environmental impact while still maintaining the quality machining your customers require. Everyone is familiar with static electricity. It is the cause of the shocks we feel during the winter time as we shuffle our socks across a carpet. It is also the driving force behind lightning in the sky. Static electricity can be a nuisance at home, but in an industrial setting it can lead to quality issue, material faults, and hazardous sparks. Though most engineers and maintenance technicians know about static electricity not many of the them understand its intricacies, even fewer understand the best ways to mitigate static and still less understand static eliminators, known as ionizers, that can eliminate static without contacting the surface. Here are 3 keys to know about static. First, static resides on a surface. Though a part may be charged on one surface. The opposite face of the part may be completely unaffected. Here is an example. Toner Cartridge – Static inside the plastic container attracts toner. 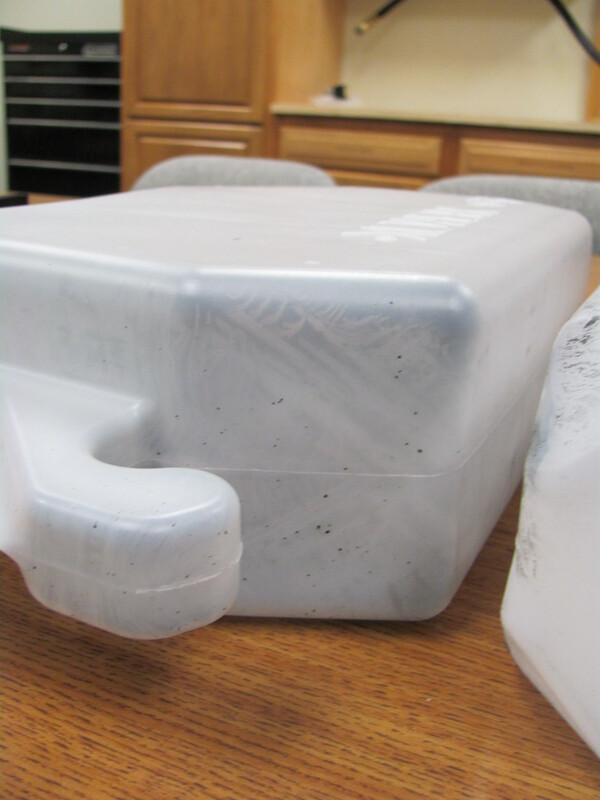 Even though the outside of this container is free of static the inside of the container still attracts toner to the inside surface. In order to blow out the toner from the inside of the cartridge, we needed to use a static eliminator inside the plastic container. 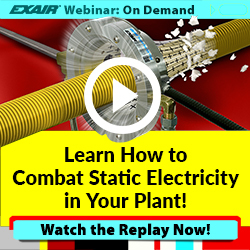 The second key to eliminating static is that either polarity can cause a problem. Static will cause problems if it is different between materials. Whether the charge on a surface is positive or negative doesn’t matter. It is the difference between charges that causes the attractive forces and static shock. EXAIR static eliminators utilize alternating current to create both positive and negative ions to eliminate both positive and negative ions. The third key to properly eliminating static is that ionized air works best the closer you can be to a product. Because we eliminate both positive and negative ions, EXAIR static eliminators work best when they are blown directly on a surface that needs treated. The further the ionizer is moved from a surface the less effective it will be. EXAIR products without air assistance typically need to remain within two inches of the surface they are treating. Products with air assistance can be much farther away. 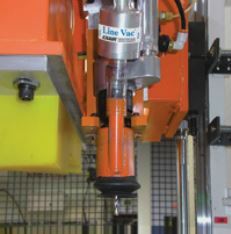 It is the inlet pressure, the value of the static charge and the speed of the surface (if it is moving) which will dictate how far away an EXAIR static eliminator can be positioned. Eliminating static is a very specialized application, it revels its self in dry conditions. It can lead to problems with webs, rollers, and idlers. If you need help with your static problem, please contact an application engineer. EXAIR’s Free Efficiency Lab – How Much Money Can It Save You? In many of my blogs, I talk about specific products benefits or applications, but this week I want to talk about a service that EXAIR provides to our customers: Efficiency Labs. The Efficiency Lab is comprehensive study of your current blow off. You can ship your current blow off to our facility. We can test it with our calibrated equipment and record your current product characteristics. Our most popular efficiency lab is testing home made blow offs. These are blow offs made from copper tubes, thumb guns with nozzles removed, or drilled pipe. These blow offs can get the job done, but they are noisy, wasteful and dangerous. Every compressed air expert knows that these blow offs need replaced, but sometimes it may difficult to decide which nozzle to use. By sending us your current blow off product(s) we can measure the force, flow, and noise of the blow off and provide a comprehensive report. This report, in most cases, compares your current setup against what EXAIR we would recommend to save compressed air, lower noise levels and maintain performance. In addition to providing a blow off suggestion, EXAIR’s efficiency lab can identify your energy cost for these blow offs. The standard industrial cost for compressed air is $0.25 per 1000 standard cubic feet. At first glance that might not seem like much, but it can add up. 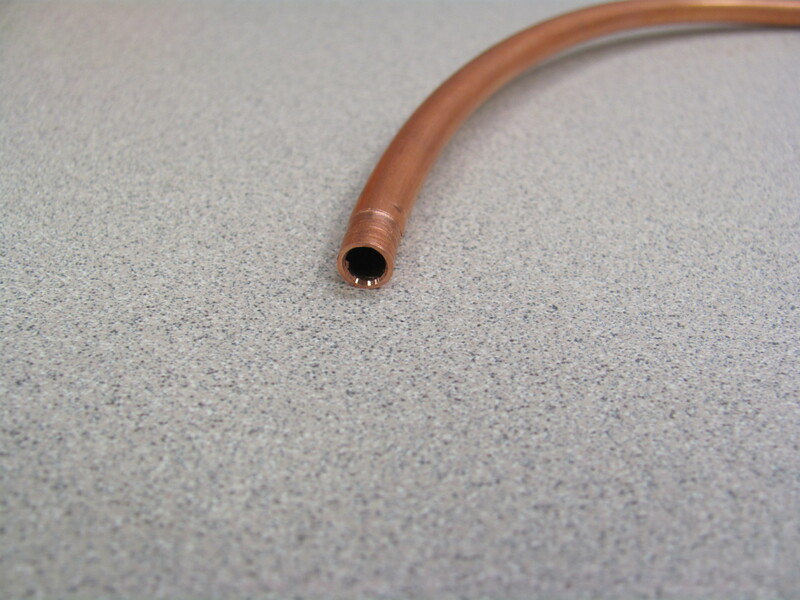 This week I did an efficiency lab for a customer that used 1/4 ID copper tube as their home made blow off. This 1/4″ Open Blow off uses 30.8 SCFM of compressed air. This small open tube ran continuously for 10 hours per day five days a week. To run this tube, cost a company $1,175 per year. The tube would flow 30.8 SCFM of compressed air when fed with 80 PSIG. By installing an EXAIR Super Air Nozzle, part number 1100, the company could save 16.8 SCFM of compressed air and $650 per year. Once again $650 may not seem like much, but they used up to (40) of these open blow offs depending on what part they ran. Replacing all (40) of these blow offs saves $26,000 per year at a capital investment of $2,880 for (40) 1100-9212, Super Air Nozzle with 12 inch stay set hose. That would be a simple ROI of 72 days. That ROI is only taking into account compressed air cost. Additionally, the 1100 Super Air Nozzle will reduce noise by 28 dBA and it complies with OSHA Standard CFR 1910.242(b) for dead end pressure. We have found that our customers all have unique setups which greatly vary the values of their particular blow off. Even if customers have the same 1/4″ tube, the way they implement it can greatly affect its performance. Variations in inlet pressure, length, diameter tolerance and even what they used to cut it to length can have an impact on how much air it will consume. If you want to know for certain how much air and money you can save, use our free Efficiency Lab service. 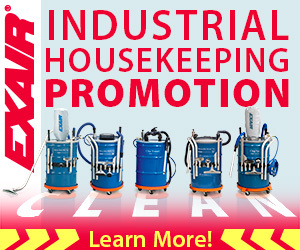 EXAIR can save a lot for you!